One of China’s largest retailers, JD.com, is launching a blockchain platform. The idea behind the JD Blockchain Open Platform is to allow the company’s enterprise customers to develop their own applications based on the innovative and disruptive technology. The goal of the JD.com’s new platform is to provide the company’s business customers with a framework to develop their own smart contract-based systems. These will be hosted on public and private enterprise clouds. JD.com’s customers will be able to create and fine tune their own smart contract applications in line with their specific needs, according to a blog entry posted earlier today. The post goes on to state that the JD Blockchain Open Platform is built on “multiple underlying technologies”. The hope is that by using these technologies, JD.com’s clients will be able to streamline vital operational procedures. These include tracing the movement or goods, verifying the authenticity of goods, assessing ownership, settling transactions, and providing digital copyright. JD.com believes that these functions will enhance the overall productivity of their enterprise customers, as well as providing greater transparency, trust, and convenience. The functionality of the platform will be similar to Amazon’s blockchain templates that we reported on in April of this year. JD Blockchain Open Platform represents the latest step by the massive Chinese retailer towards providing technological solutions to various issues that face traditional industries. The firm calls the strategy Retail as a Service (RaaS). Clients of JD.com will benefit from the JD Open Platform’s “one-click deployment.” It is hoped that by simplifying the process as much as possible, JD.com will be able to help even those companies that lack detailed knowledge of blockchain technology, yet want to take advantage of its disruptive potential. 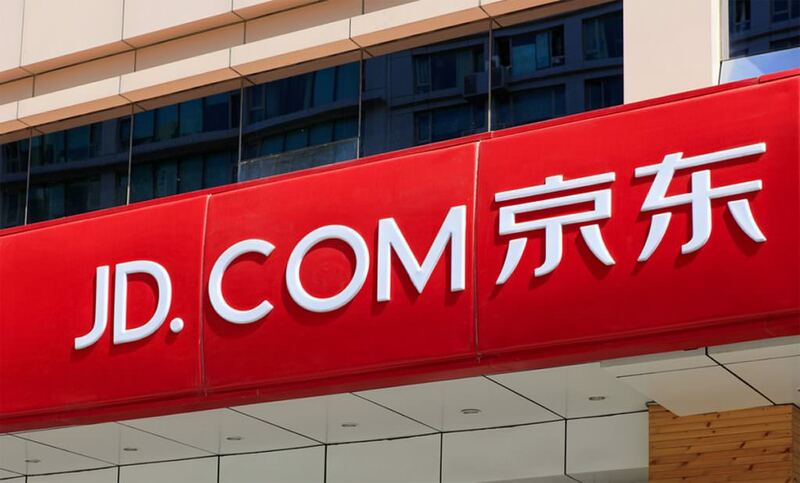 The platform itself will also feature an application store that will provide various blockchain tools or software features for use by JD.com’s enterprise customers. These have been designed through collaboration between in-house developers, as well as Independent Software Vendors. JD.com also aim to continuously improve the application store by recruiting new software vendors and creating a vibrant community for those vendors working on the platform. All additions to the application store will undergo a stringent quality assessment program before being listed. It is hoped that such high standards will encourage customers to trust the service, which will in turn lead to a much more vibrant ecosystem of business-grade applications that are entirely customisable to each client’s specific needs.